Miami Beach: a cosmopolitan, culturally rich paradise with a perennially breezy and sun-kissed ambiance that draws people from all over the world and has come to represent the best qualities of South Florida. With its incomparable sunny sands, a rich nightlife that seemingly never stops, a colorful cast of denizens, and many great places to enjoy a beachfront lifestyle, the barrier island is a tropically infused celebration. The best way to celebrate life in Miami Beach is with great friends, close family, and of course, fantastic drinks. At 710 Liquors, we know how important it is to celebrate those moments in life whether it’s a wedding, a sports game cheering on your favorite team, or having drinks in your Ocean Drive condo, we’ve got just the right drink to make the most of the occasion. 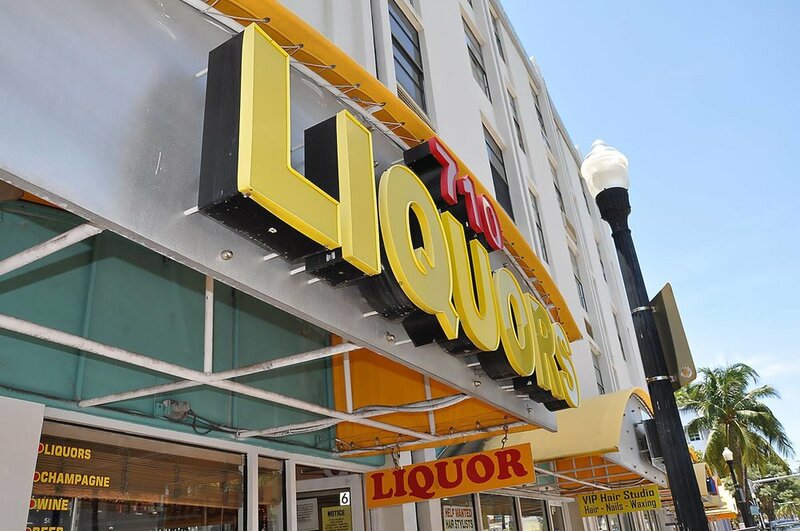 Liquor, champagne, a bottle of wine to kick back after a tough day, or a good old fashioned beer to enjoy, you’ll find it in our liquor store located on Washington Avenue right here in South Beach. Need some liquor or maybe some cigars for your next event? Drop by and check out 710 Liquors today! We’re open every day from 10:00 -8:00PM in case you need to make a late night liquor run.